It doesn’t matter if you're a collegiate star or a weekend warrior on a local softball team, when you injure yourself, it can ruin your game. 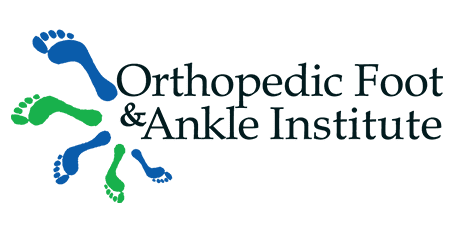 Dr. Roman Sibel, an orthopedic surgeon at Orthopedic Foot & Ankle Institute in Henderson, Nevada, understands your frustration and works to get you back to the activities you love sooner than you thought possible. If you need a sports medicine specialist, contact the office by phone or by booking an appointment online. When you see Dr. Sibel for a sports injury, he may use a variety of treatment methods, including things like immobilization, physical therapy, and, in some cases, surgery. Sports injuries include any bodily harm that occurred during a sport or physical activity. It includes things like concussions and sprained ankles. Most sports injuries fall into two categories: acute injuries or overuse injuries. Acute injuries result from a sudden trauma. You may fall, move wrong, or collide with another person or object. Broken bones, cuts, sprains, and strains are all common acute injuries. Overuse injuries result after years of repeated movements and include things like tendonitis and shin splints. Sometimes these sports injuries are caused by normal wear and tear, while other times they develop due to poor alignment or form. Athletes often ignore the minor pain that accompanies overuse injuries when they first occur, which leads to further, more severe damage. In cases of minor sports injuries, Dr. Sibel suggests starting with RICE: rest, ice, compression, and elevation. Within a few days, most sports injuries begin to feel better. If your sports injury causes immediate and severe pain and swelling, Dr. Sibel recommends an evaluation. Severe conditions, such as bone fractures, can mimic the symptoms of minor injuries, and a professional medical evaluation ensures proper diagnosis and treatment. How can you prevent sports injuries? Dr. Sibel helps prevent further injuries. He recommends that all athletes warm up and cool down each time they engage in an activity. That prepares the body and muscles for movement, eases them back into rest, and makes sports injuries less likely. During your visit, he also recommends a regular, well-rounded exercise routine that includes strength training, cardio, stretching, and listening to your body. If you’re in need of a sports medicine specialist, call Dr. Sibel’s office today or go online to book your initial consultation.